You all were part of the Dedrick family and had many influences at the very beginning. Would you like to talk about your family and music influences? 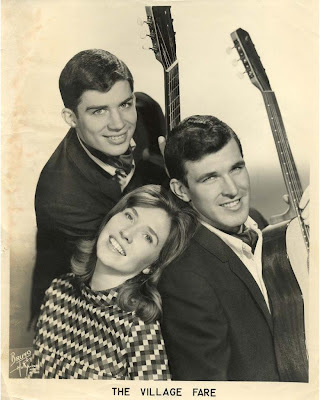 Yes –everyone in our family was very musical. Our parents were both fine musicians. Our Dad was playing trombone and writing arrangements for big bands such as Vaughan Monroe’s even before we were born. During all the years we were growing up, (there were 6 of us siblings) he had his own jazz band which often rehearsed at our house, or got together to hear the latest jazz album releases, especially Duke Ellington and Count Basie. While they were either playing or listening, we kids would hang out around the fringes, or go to sleep to the sounds, feeling the vibrations of the string bass thrumming through the house. So jazz was a major influence in our musical life. We all learned to play instruments from our Dad who was also the high school music teacher – and we played in the high school band and dance band. As a composer, he would often write pieces for just the instruments we played and call us into his studio to try them out. Also, at times Bruce, Chris or I got to ‘sit in’ his dance band on jobs closer to home – playing our instruments and even occasionally singing. Most of us were recruited into the local church choir, because it was directed by our mother, but the real fun was singing and harmonizing with our friends on the school buses going to and from basketball games. We lived in the country, an hour from the closest city, (Buffalo, New York,) so, except for the more advanced studies on our instruments, we weren’t exposed to much classical music until later, after we left home for university where 3 of us studied music seriously. We certainly heard a lot of good jazz vocalists and were also influenced by folk singers and groups such as the Hi-Los. 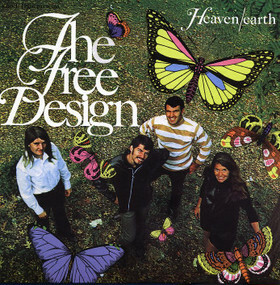 Around 1966 you started The Free Design. What do you remember from some of the early sessions you had together? By that time, Chris, Bruce and I had moved to New York City for different reasons and soon, because of Bruce’s initiative, began to sing together with acoustic guitars ‘just for fun’. We started with Peter, Paul and Mary songs and when friends started saying how good we sounded, we named ourselves “The Village Fare” and went down to Greenwich Village and sang in coffee houses like The Bitter End. Then Chris wrote our first original song – “Kites Are Fun” That was actually the beginning of our career as The Free Design – before we even had the name. What I remember most was the fun of singing together and the ease and magic of the blend of voices – no doubt partly because we were siblings. 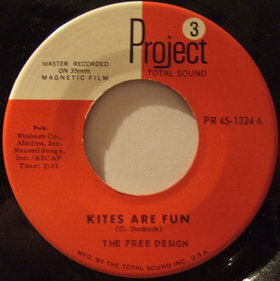 How did you get a contract with a label to record “Kites Are Fun”? At this point, everything was a family affair. My Dad funded a demo of “Kites Are Fun” and another of Chris’ songs, “The Proper Ornaments” and my husband, who was working with my dad, took it around to several record companies. Three of them, including RCA Victor, offered us a contract. We signed with Enoch Light’s company, “Project 3”. Well, let’s talk more about this legendary album. I would like to know what are some of the strongest memories you had from producing and recording this LP? It was a magical time – here we were with a contract, and no name yet and only a few songs! I remember the 3 of us sitting around the edge of one of those big fountains in New York City, with a yellow pad, thinking up hundreds of names, writing them down, crossing them out, laughing at our crazy ideas, trying to outdo the names of some of the current rock groups – and you know how wild some of those names were! Then we got more serious – and the word ‘Design’ came first because it related to the contrapuntal nature of our few songs so far. Our dad was in town and we enlisted his help – and “The Free Design” was born! As for the songs – aside from suggesting a few cover songs for each album, Enoch Light pretty much gave us free rein, so our albums are full of original material, mostly written by Chris who had such an incredible gift for song-writing. However, the first album, (as well as later ones) has several collaborations. We went home for a holiday – sat around the living room with guitars and wrote new songs with ideas, rhythms and melodies coming from all of us, even from younger siblings still in high school. We had been in a recording studio only a few times before to hear other artists, but this was our first recording experience as The Free Design. Project 3 hired only the top musicians in New York and I’ll never forget the sense of awe we felt, listening to these guys play and actually singing with them!! 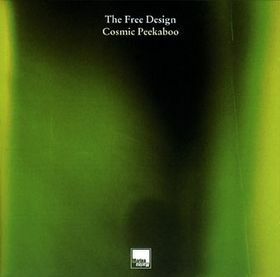 I still listen to Free Design albums, knowing the musicians playing all those incredible solo lines, rhythms, improvisations. We would record 2 or 3 songs in a 3 hour session – Chris wrote all the charts, leaving plenty of room for creativity – and sometimes the ink was still wet when we started a session! Needless to say, it was an exciting and musically fulfilling time for us. 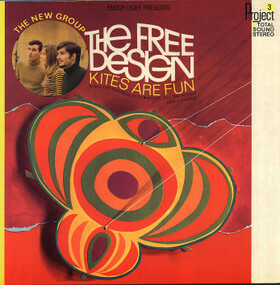 Why the name Kites Are Fun and, in fact, why the name The Free Design? The album was named “Kites Are Fun” because it was our first original song and seemed to capture in words the quality of our sound. Chris got the idea of “Kites Are Fun” from the initials of his girlfriend at that time – K.A.F. 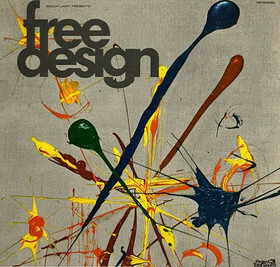 “The Free Design” too seems to say something about our music. It was all written and often contrapuntal in style – but the words of many of the songs pointed in some way to ‘being free’ and the music often had a breezy and light sound. What can you say about the cover artwork of your first LP? It wasn’t chosen or designed by us but by the record company. If you look at the other Project 3 albums, (Tony Mottola’s for example) you’ll see an unmistakable similarity in the artwork. “You Could Be Born Again” and “Heaven/Earth” are 2 of your later releases. Again we have here an amazing vocal harmony and really enjoyable mood you are producing. Would you like to talk about these two releases? These were our 2nd and 3rd albums. By this time, my sister Ellen had finished high school and joined the group, really enhancing the vocal sound, which still had that family blend everyone seemed to like. We were rehearsing constantly, and as with our first album, Enoch Light was giving us almost total artistic freedom. I know we never would have been able to record so much original material with a larger company and for that reason, in spite of distribution difficulties, we never regretted signing with Project 3. We recorded in A&R studios with Phil Ramone, who is now known as one of the greatest recording engineers of all times. He wrote some wonderful words of acknowledgement for the liner notes in “You Could Be Born Again”. 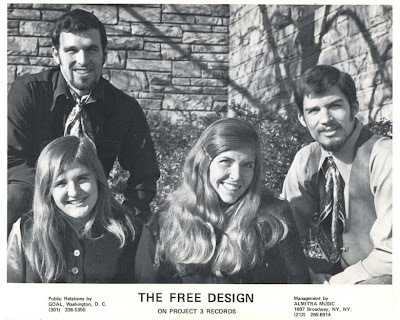 In addition to the wide variety of songs in the Free Design ‘mood’ – that album contained an incredibly powerful musical elegy written by Chris and sung by Ellen – in honor of our cousin Dwight Dedrick who was killed in Viet Nam. Do you have any interesting experiences from some festivals or shows you would like to share with us? In the very beginning, after “Kites Are Fun” hit the charts, we began doing television shows and our first appearance was on Johnny Carson’s Tonight Show! Having never been on television, needless to say we were pretty nervous, so the details are still engraved in my memory, right down to the curtain opening and neck of Bruce’s guitar getting caught in it temporarily before the lights blinded us and we began singing “Kites”. Then came many appearances on TheMike Douglas Show. We got used to flying or taking the train to Philadelphia from New York. Mike liked us I think because we were a family act. In fact, on the first show, after we had sung a couple songs, he brought my mother and my new 4-week old baby son out onto the stage, chatting amiably with us. When we began doing concerts, they were often in universities. In one university, the college choir had learned “Kites Are Fun” and we did a workshop with them. (We did other workshops with choirs from then on and really enjoyed this aspect of our career.) The choir sang it for us and we worked on it with them, sang it for and with them – and then did a full concert in the evening. Where did your inspiration for writing mostly come from? 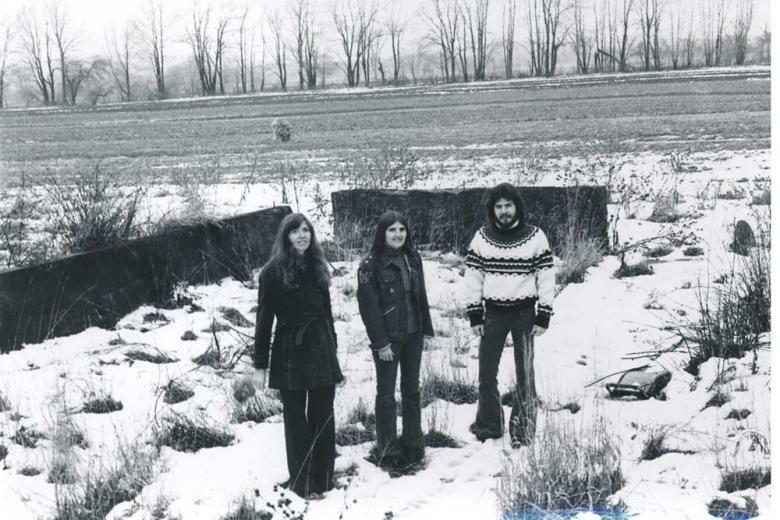 As Chris said in one of his interviews, the inspiration for many of the songs came from the beautiful countryside where we grew up in western New York State, which we affectionately nicknamed “Blue Hill” – and the family events and ties we’ve experienced. For example, he wrote a song about our youngest brother Jason called “My Brother Woody”. Jason was about 8 years old when Free Design began, and he and his little cousin Brad, formed their own ‘band’ – called themselves Wo and Woody – the Woodpeckers, and had a great time imitating us, singing and playing their ukeleles. Many of the songs also express the yearning to know the meaning of life and love, just as many other songs have over centuries. “Sing For Very Important People”, “Stars/Time/Bubbles/Love”, “One By One” and the last one is “There Is A Song”. What are some of the memories From producing these albums? 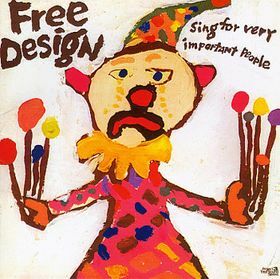 “Sing For Very Important People” was our only children’s album and is full of great songs for kids. There are songs written by each of us – and one by our dad as well. There’s a unique version of “Sesame Street” since that show was very popular at the time and our kids watched it every morning. I don’t know if our experience was very different from any other recording groups – we loved our songs and the exhileration of recording them – working with great musicians and engineers. Much to my chagrin, Bruce left the Free Design to form his own group after we finished “Stars”, so the last 2 albums were just Chris, Ellen and me. “There is a Song” was recorded mostly in Toronto for another label called Ambrotype, There was a quality of ease in these last 2 recordings since the band was the same as the one we had been performing with in concert. Chris, Ellen and I, as well as our younger sister Stefanie who had sung with us on our last few concerts, moved to Toronto and became the nucleus of a larger, more classical vocal ensemble called The Star-Scape Singers. Again, Chris wrote most of the music for this group, collaborating with our director, Kenneth G. Mills. We sang in Carnegie Hall 8 times and travelled and performed extensively in eastern and western Europe and the United States in the 1980s. Chris then went on to become a multiple award-winning composer for films and television. 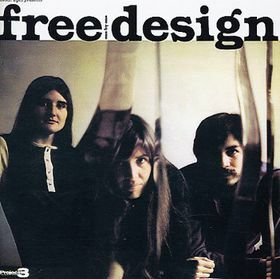 In the 1990s, much to our surprise – and delight, there was a groundswell of new interest in the Free Design, beginning in Japan with such groups as Cornelius and Stereolab. Several compilation albums and a ‘Best of’ were released in different countries. 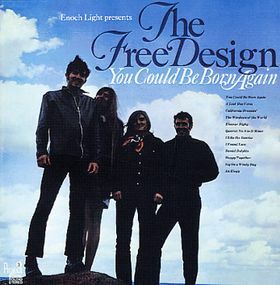 Then in 2001, a great company in Seattle, Washington called Light In The Attic reissued all 7 Free Design albums on vinyl and cds as well as a remix album called “The Free Design – The Now Sound Redesigned”. On it are many reinterpretations of our songs by such artists as Stereolab & the High Llamas, Danger Mouse& Murs, Nobody, Caribou, Madlib, and more. 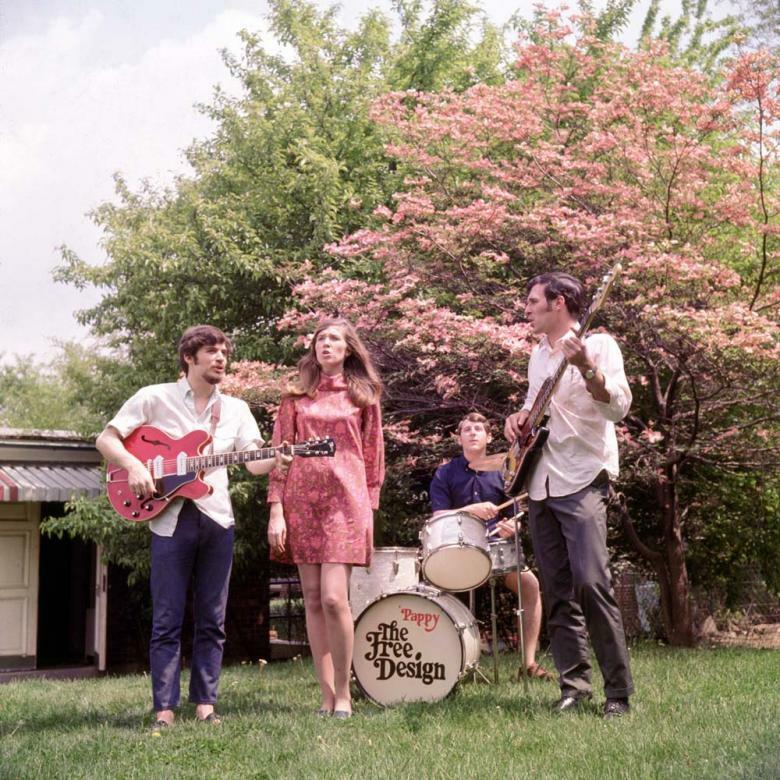 We were then invited by Marina Records to do a song (“Endless Harmony”) on “Carolina Now” – a tribute album to Brian Wilson of the Beach Boys. This led to the recording of a Free Design ‘reunion’ album for Marina in 2001. Meanwhile, Sandy Wilson and Matt Sullivan at Light in the Attic began getting sync licenses for several of our songs, including “Love You” – a song I wrote with my husband for our children, so many years ago. My oldest son, Jay, works with Sandy and Matt on the licensing and my younger son Aaron takes care of all the finances. A lot has happened for The Free Design in the last 20 years! After 30 years you got back together and recorded “Cosmic Peekaboo”. How was it, working and recording again after all those years? I really enjoyed it (I always loved singing!) and I’m sure Chris and Bruce did too. (We were back to our original line-up since Ellen wasn’t available.) We recorded in Chris’ studio and one of our musicians, Tom Szczesniak, had been our bass and keyboard player from 30 years ago! His 2 sons and Ellen’s son, Griffin also played on this album – making it a real ‘reunion” album. Thank you very much for the interview! Would you like to add something else, perhaps? Thank you so much for your interest in The Free Design! There are just a few words I would like to add. Perhaps you may already know, but, sadly, my brother Chris passed away just a year ago. I am now completing an album of 15 of his songs that I love, entitled, “A Blue Hill Day – A Tribute to Christopher Dedrick”. 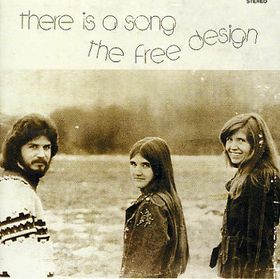 The Free Design would never have existed without Chris’ unique gift of song and his many musical talents. I’ve loved the experience of singing in this ‘family’ group more than I can say. I also want to thank my sons, Jay and Aaron, and the folks at Light in the Attic for all they’ve done in the past 10 years to give The Free Design new life. Anyone who is interested can check out the new Free Design website (www.thefreedesign.com) for more detailed information, news, a discography, a store and many photos. Nice interview, it's great that you did one on this very underrated and talented group. Sandy was articulate and friendly and the interview is a nice and pleasant read.